What does the future hold for meat safety in Tanzania? The natural science researchers in LLH’s meat drivers project are considering the pathways that meat takes from the farmer to the consumer. 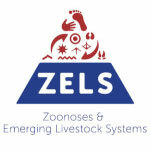 As the market drives larger-scale and more intensive meat production, they want to develop a robust understanding of where and how hazards such as disease-causing pathogens enter and flow through what is called the ‘meat pathway’. The social scientists in the project have a different approach. They consider the same trajectory, but focus on the various links in what they call a ‘meat value chain’. Each link represents the activities undertaken by a person or business to add value to the meat from their perspective as they seek to sell it for a price that is higher than the price for which they bought it. Bringing these two different perspectives together is what makes LLH’s research so interesting and potentially powerful. Sample collecting and laboratory analysis form an integral element of the work to understand the meat pathway. However, it is also important to really get to grips with how people involved in the meat value chain perceive meat safety and risk. This is because in combination, the two complementary approaches can identify points of potential hazards (where pathogens can enter the chain) and help us understand the motives, values and beliefs of people owning or handling meat. On the combined findings of pathway and value chain, the research can usefully feed into policies to improve food safety – an important objective of the project. Sometimes perceiving risk is not so easy though. 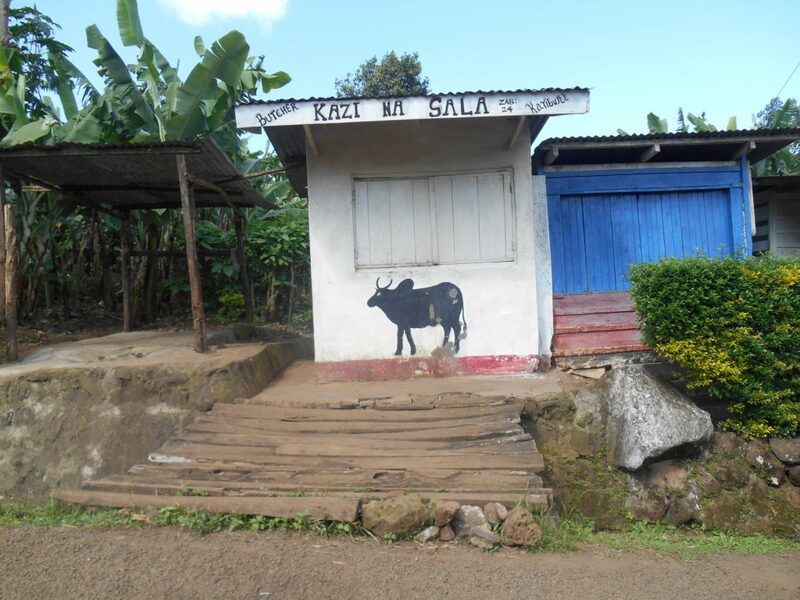 When we asked 64 interviewees made up of urban and rural butchers and urban and rural eatery owners in Arusha what their expectations were for major problems with meat safety in the future, the only consensus was that the picture will be a changing one. Very few interviewees in all four groups (between 0% and 18%) said they expect the situation to change little, or that they didn’t know what change would happen. A sizeable minority of our interviewees said they expected major meat safety problems to emerge in coming years. Interestingly, the proportions in which they did so was based on whether they operate in an urban or rural environment, and not on the type of business (butchery or eatery) that they operate. Analysis of our interviews shows 35% of urban butchers and 47% of urban eatery owners expect meat safety problems to increase (with 41% of both sets of urban interviewees expecting them to decrease). “More serious events are going to occur in the future,” said one urban butcher. “[Meat safety issues] will increase as every day we have outbreaks of new diseases,” said another. For rural business operators the pessimism was markedly lower, with only 20% of rural butchers and 27% of rural eatery owners expecting a worsening meat safety situation. “There will be no major problem in the future. Actually, I think they will be completely over,” stated one optimistic rural eatery owner. The general overall forecast of an improved meat safety situation though – from either urban or rural meat seller – is a curious one to consider as the vast majority of our interviewees (from 82% of urban butchers to 94% of urban eatery owners) also said they had no experience of major outbreaks of disease, nor had they any experience of problems with food safety. Our interviewees were categorical when asked about this: “No major event of such a kind has ever occurred at my place,” said a rural butcher. “No major event has occurred here. I am sure, 100%,” said an urban eatery owner. It might be hard to see how improvement on such a situation can exist. Perhaps though, a note of caution may be advised when looking at our analysis. It is possibly telling that several interviewees spoke about major meat safety events – only these happened to others, or elsewhere. Furthermore, when asked to consider factors that people in butcheries and eateries believe affect meat safety risks, they named many. My next blog will consider what these risk factors are. In the meantime, these meat-sellers’ perceived lack of any meat safety issues in the here and now is food for thought in a country known to be a hot-spot for bacterial zoonoses transmitted to people in the meat-to-consumer chain.